"Today is a chance for spouses and significant others to come out and experience some of what their Soldiers have gone through by completing varying tasks throughout the day," explained 1st Lt. John Schara, event coordinator, D Company. 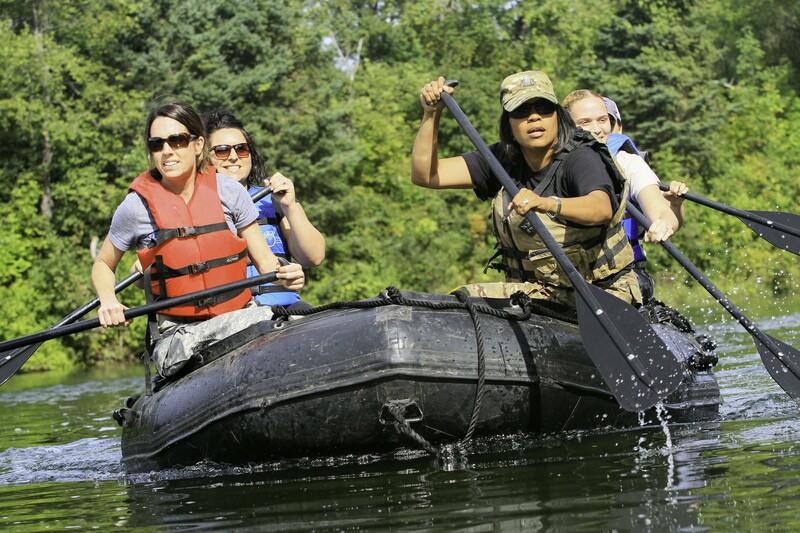 The gathering strengthened ties and built team cohesion as near strangers joined together to conquer five interactive stations that included a physical fitness training session, obstacle course, zodiac boat race, and medical trauma lane. "I think it was a good way to bring everyone together and get to know each other," explained Jennifer Lacoe, significant other of Chief Warrant Officer, Brandon Conant, H Co. "It meant a lot to be a part of what the Soldiers do and see what they have to go through physically and mentally." Schara described the most rigorous event, the obstacle course, as the station that best represents life as a Polar Bear Soldier. "To successfully negotiate the varying degrees of difficulty the obstacle courses has you must be physically fit, resilient, and agile," he explained. This mindset is how our Soldiers approach the obstacles they encounter every day. You may not be familiar or comfortable with what you encounter, but you adapt and get through whatever's presented to you." 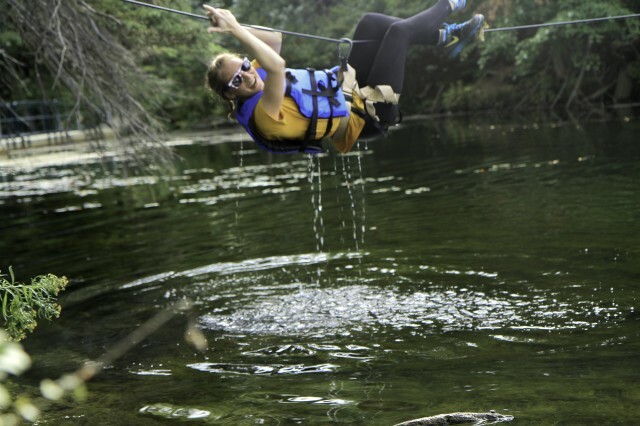 Lacoe agreed that the obstacle course was the most physically demanding station, but was most pleased with the challenges the single rope bridge crossing offered. "Other than the fact that they (the Soldiers) were (shaking the rope to) dip me in the water," laughed Lacoe. "It was fun to try my hardest not to get into the water and move as quickly as I could, so it was challenging for me and that's what I liked about it." The additional playful encouragement that was brought on by her boyfriend Conant, said the day's outing had brought them closer together by giving Lacoe an inside look at what he has recently gone through. "This was important to me to bring her out here," he said. "I recently graduated air assault, so the obstacle course was interesting for her to experience, now she has a better understanding of what I'm talking about when I come home and describe my day." 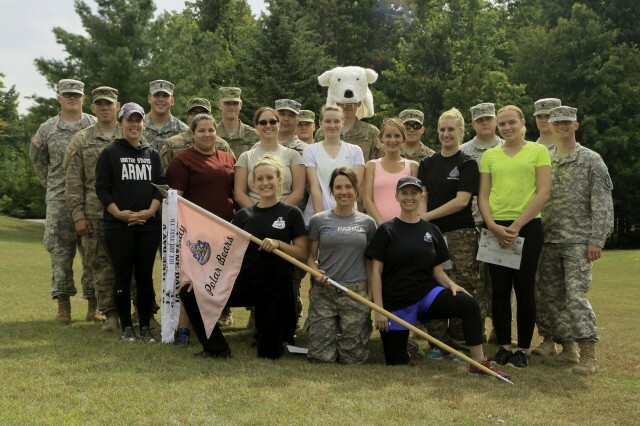 The event concluded with an awards ceremony that formally recognized 10 attendees as official members of the 4th Battalion, 31st Infantry Regiment "Polar Bears." "It really was all about team work and motivation today," said Lacoe. "I didn't know many of them before, but we worked together as a team."